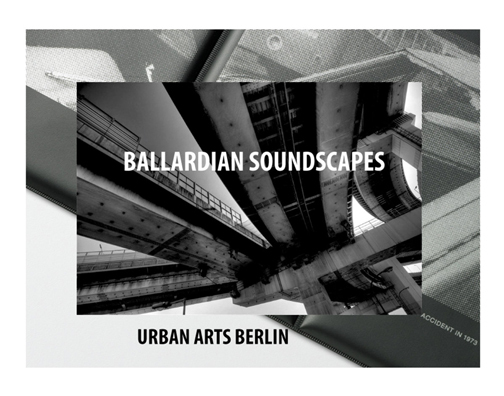 July | 2018 | Dave Andrae's "Blog"
The German organization Urban Arts Berlin has released another one of its nifty compilations of music by artists from all around the world. This one is called Ballardian Soundscapes and as you would surmise it consists of music inspired by the work of the late novelist and A-level provocateur J.G. Ballard. This is a cool compilation. A lot of the tracks seem to embody a darker, dystopian, electronic-based sound that fits right in with new brutalism architecture and some of Ballard’s more unnerving storylines. A few of the tracks feel reminiscent of Zoviet France. One of the tracks, Russell Lowe’s “Depopulous Nirvana,” feels like a perfect mix between Sunn O))) and Oneohtrix Point Never. I look forward to listening to this more in the coming days while reading and whatnot. Leila and I are honored to have been included. 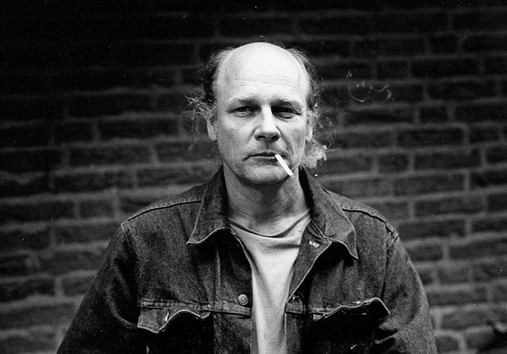 Dutch cinematographer Robby Müller has passed away, at age 78. Müller was of international renown and among the most skilled in his trade. He was the kind of cameraman and technician who elevated every film he worked on, and whose compositions have been seen and adored by millions. Not all of the viewers who’ve seen his cinematography would know Müller by name, but many of them would no doubt recall, for example, the Southwestern American vistas and neon-lit roadside oases of Paris, Texas as if they had experienced them firsthand. Indeed, Muller’s cinematography could be so vivid in conjunction with the storylines of the films he worked on that it made audiences feel as if they were right there. I was first impressed by Müller’s sharp camera work in my early twenties, when I rented a spate of VHS tapes of seventies Wim Wenders films from Video Visions in Milwaukee. Even though the format and film-to-video transfers didn’t do the films justice, the films themselves could still be appreciated as consummate works of art. Am talking here about The Goalie’s Anxiety at the Penalty Kick (which was recently restored but has yet to be reissued on DVD or blu-ray disc), and the loose “Road Trilogy” of Alice in the Cities, Wrong Move, and Kings of the Road (essential cinema that was restored prior to being reissued by Criterion in a super-cool boxset). If you haven’t seen this work, I implore you to give it a go, regardless of what you might have heard or might think of Wenders’s work in general. 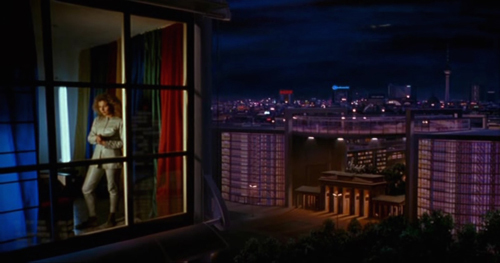 These films are worth seeing for Müller’s imagery alone. More than any other director of photography I can think of, Müller was adept at filming actors in cars with a freshness of perspective that could make the viewer feel like being in the passenger or driver’s seat, primed for adventures along the highway. Müller also did fine cinematography on films by Jim Jarmusch (whose work I usually like), and he shot movies like Repo Man, Saint Jack, and Barfly, which aren’t quite as good but can be approached as interesting curiosity pieces. And of course that only scratches the surface (as a I often say in these short-form eulogies). One Sunday evening in the Summer of 2017 I happened to wake up rather late. Checking Facebook I noticed a friend of a friend mention that Until the End of the World was going to be shown in the middle of the night on Turner Classic Movies. They were set to screen “the director’s cut.” Yes, the version of the film that clocked in at nearly five hours long. I had never seen it in any form, but had gathered it had its flaws. I didn’t have any obligations the following morning, so it seemed worth staying up and watching. “Why not?” I figured. The full version of Until the End of the World turned out to be frustratingly uneven as it progressed, showing a lack of focus as it began to feel more like an endurance test than a movie. However, it wasn’t without its charms and had some good scenes here and there, especially during its second half. One thing that eased the long sit and kept me from giving up on it, as the plot seemed to spin in different directions, was the cinematography by Robby Müller. Characteristic of his work, the film looked great. Very colorful and pristine, lending the proceedings an inviting tenor they could have easily lacked in less capable hands.